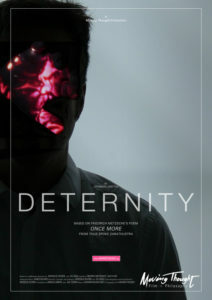 Mersolis Schöne and Evi Jägle’s “Deternity” establishes itself through a discomfiting “video” or “installation art” aesthetic, with its flexing animations and projections creating a vibrancy (albeit unattainable) in the background while a more dystopian, existential anxiety is conveyed in the foreground through clinic-white textures and silhouetted movement. The film’s most unnerving element is perhaps the conflicting nature between the background and foreground. The hands knock and claw away at a heavy, un-budging, and transparent surface that separates the two, and the sound design that emerges from this interaction is awkward and grating to the ears. Add in the droning ambiance scoring the action on display and there is a truly delusional, psychoactive effect that forces a viewer to question the space that is being portrayed, if it is even a physical space at all. The primary criticism to mention is that the Nietzsche-inspired voice-over is used quite sparingly. Though effectively orated, this poetry could have better served the film’s philosophical groundwork if more fragments were excerpted and read dramatically throughout. Alternatively, it could have been more consistently powerful had the narration been cut altogether to allow the visuals to speak for themselves. Overall, however, the editing and cinematography propel this experience’s visceral imagery to deliver a tense, thought-provoking, and strangely symphonic experimental feat. Adrian Rodriguez’s “Ariadne” is certainly a visually accomplished film, one that mines the beauty and strangeness out of its mythological underpinnings. Where it falls short, however, is in its often indulgent, lingering gaze; particular scenes drag on even long after their symbolic power was established and thoroughly conveyed to the viewer. Additionally, this creates a meandering effect to the narrative, which seems, at points, to be going nowhere and thus detracting from its own stakes that it attempts to sustain. Sure, the cinematography is striking, the editing well employed, and the sound design atmospheric, but an over-reliance on these elements causes “Ariadne” to suffer elsewhere, in terms of the dialogue, the plot momentum, and, unfortunately most of all, the direction. 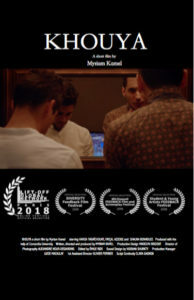 For a powerful tale about “choosing between [one’s] future or [their] heart,” this film’s performances are rendered lifeless, awkward, and thus unconvincing due to the shortcomings in technique and balance of filmic elements overall. 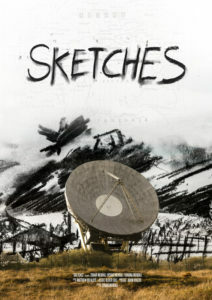 With a mix of disembodied archival dialogue and footage, lucid cinematography, and a generally contemplative pace and wandering structure, Zuhair Mehrali’s “Sketches” delivers a beautifully realized, experimental portrait of a fractured cultural / geographic history. The artist observing and being observed deliberately sketches in pastel while the landscapes surrounding him are simultaneously explored freely by the camera and, even deeper, excavated through archival excerpts that play strangely, peacefully over these natural images. The result is something singular, powerful, and instantly distinguishable. “Sketches” establishes itself from the very beginning as a visually stunning, conceptually accomplished, culturally inquisitive viewing experience. Joel Thompson’s “Yummy!” presents itself as a whimsical game between brother and sister, with choir-like, fairy-tale music scoring the scene. The characters are light-heartedly sketched out as well: a timid, seemingly innocent brother and a confident, scheming sister. The narrative is also straightforwardly clever as it is revealed the game is indeed more “high-stakes” than previously assumed. However, where “Yummy!” falters is in its cinematographic execution; its visual appearance is textureless and under-defined, its dialogue inconsequential due to poor sound design, and the performances unconvincing due to ineffective direction and, ultimately, a missed opportunity in terms of using the space in the frame to a satisfying potential and building the lore of the atmosphere that is hinted at through the music and the narrative arc. As a result, the final moments fail to create their intended effect on a viewer and the film overall fizzles out quite forgettably. 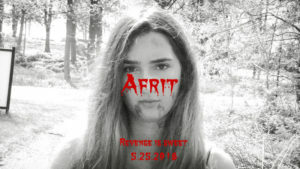 Richard Schertzer’s “Afrit” certainly makes a noble attempt at building dread with a nervous, repetitive strumming over its visuals. Additionally, there is some compelling shot composition in tracking shots and close-ups of characters’ physicality. 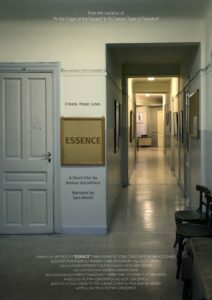 Unfortunately, this is not enough to develop the characters themselves, who remain quite devoid of personality because of a lack of atmosphere (textureless cinematography) and a sparse script, one that does little to convey the stakes of the situation, as well as how we, as viewers, are supposed to interpret (or even feel about) the characters in the midst of it all. 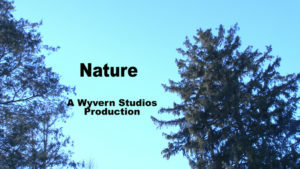 While the shot composition in Richard Schertzer’s “Nature” is finely handled, as well as contemplative in rhythm and gaze, and the music nobly intentioned to resound with the serenity of the natural landscape being depicted, the cinematography itself unfortunately fails to provide a distinctive texture or captivating visual framework for the viewer. Instead, the imagery looks stark and barren, which is one thing if that suits the environment under inspection (such as the blistering coldness in the cinematography of Alejandro González Iñárritu’s “The Revenant”), but here the beauty and the solemn abandon of the swaying trees appears flushed of its color, with a sun that should be vibrant and prismatic rather blurred and suppressed in the background of the shots. In the end, “Nature” delivers a watchful eye for the outdoors, but one that does not yet have the aesthetic, or the proper sound design, to back it up. 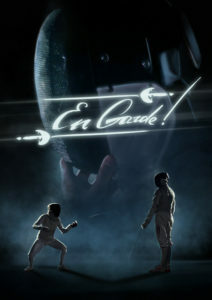 Daniels Joffe’s “En Garde!” is a visually accomplished, snappily edited portrait of a unique experience, one that follows a young boy’s coming of age and growing sense of self in the often overlooked world of competitive fencing. The athletic scenes here are well executed, utilizing an array of camera angles and perspectives, along with tense sound design and a frenetic, high-energy editing style that capture the heat of the moment in fencing matches. Where the film falters, then, is mostly in its music and dialogue quality, for the two elements often interact in a way that is melodramatic and thus more on-the-nose and ineffective compared to the visual style. However, that being said, the cinematography, performances, and editing are enough to prove this film a worthy opponent, and one with a singular focus. Sara Eustaquio’s “Slumberous” establishes a sense of dread and an oppressive nighttime atmosphere through a droning sound design that renders both the protagonist’s house and the outdoors around it alien and unnerving. While the shot composition and acting are also compelling enough to sustain the narrative momentum and ominous mood , the greatest weakness of Eustaquio’s film perhaps comes from the script itself. The main character’s choice to murder her hamster by the end seems unmotivated and unearned; while the house is certainly producing a horrific effect through sheer uneasiness, it makes little sense that she would decide to go for her pet first and foremost, especially since the grating squeaks of the hamster wheel are only briefly revealed to us as viewers. Everything else, in fact, appears more brutalizing to the senses than the hamster wheel, so it would have been more relevant to the narrative progression to have the protagonist burn down her house, for instance. 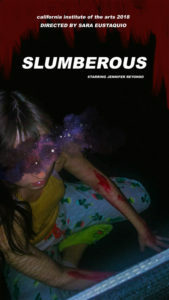 Overall, “Slumberous” is an effective exercise in horror aesthetic, but unfortunately it lacks a cohesive script to finely shape its trajectory.